Is she part of the solution…or the problem? It could be a terrorist threat. Or is it some other sinister plot? An unprecedented rash of security breaches at San Diego’s international airport is putting passengers at risk and bringing the competence of the airport’s chief of security, Ariana Atkins, into question. With explosives the weapon of choice, police K-9 unit captain Logan O’Connor and his bomb detection dog, Boomer, might be Ariana’s best, if not only, line of defense. Logan is certain his belief in Ariana, and his growing love for her, aren’t misplaced…but it wouldn’t be the first time he’s misjudged someone’s intentions. Brought together by disaster. Kept together by love. In the aftermath of a deadly earthquake, it’s chaos for trauma surgeon Jessica Hansen. Among the many victims, one patient stands out—San Diego Police K-9 search and rescue officer Cal Palmer. Cal vows to help Kayla, a child orphaned by the disaster. But he needs Jessica’s help. 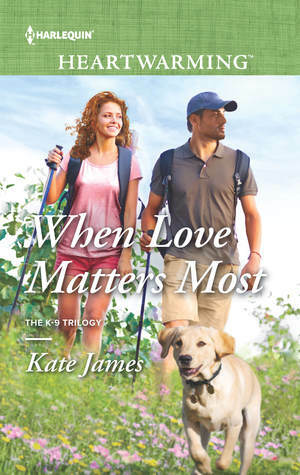 Will their shared concern for Kayla and for Cal’s canine partner, Scout, allow them to put aside their personal torments and discover the difference love can make? Could their backgrounds be any more different? Rick Vasquez, a K-9 unit sergeant with the San Diego Police Department, fled drug-related violence in Mexico as a boy. Madison Long, who recently became primary veterinarian to the SDPD’s canines, is the privileged daughter of a judge. Rick has dedicated his life to curtailing cross-border drug trafficking and preventing other young boys from being drawn into the dark world of the cartels. 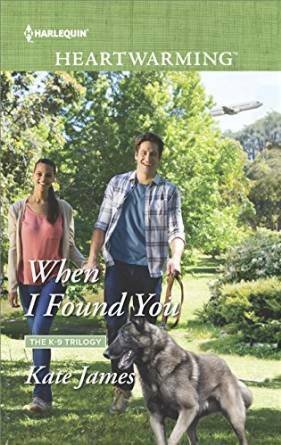 When I Found You is the story of San Diego Police Department K-9 unit captain Logan O’Connor, who readers were introduced to in the first two books of the trilogy, and Ariana Atkins, chief of security and loss prevention at San Diego’s international airport. Of course, a K-9 trilogy book has to have a furry, four-legged character, too, and in When I Found You, that character is Logan’s explosives detection dog, Boomer. 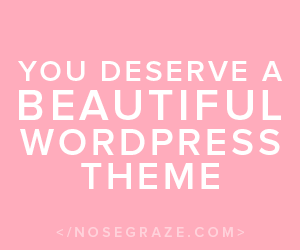 Is there a particular author that you remember being the first that drew you into being a fan of the Romance genre? I have to say that (although not strictly romance) I love Nora Roberts’s books. I just finished The Obsession, and (please refer to the above question about my love of dogs) my favorite character in the book is Tag, the dog. He even has a pivotal role in the conclusion of the book! Suddenly, Boomer rushed by her in a blur and she heard her name called from a distance. Swinging around, she saw Logan sprinting toward her. She felt the floor shudder, and an earsplitting sound reverberated around her. Before she could process what was happening, she was flying through the air. Her heart was racing, but as he continued to hold her, he sensed the tension easing. It felt just so darn good holding her in his arms. It didn’t matter how strong she was. At that moment she needed comfort and Logan was pleased that she was letting him provide it, especially since they were in a public corridor. Logan stood in the doorway, dressed in indigo jeans and a pale blue polo shirt. She glanced down quickly to see if Boomer was with him. Not seeing the dog, she shifted her gaze back to Logan. He had one arm causally braced against the jamb, the stance emphasizing the muscles in his arm and torso. His dark hair glistened under the harsh fluorescent lights of the corridor. He had a smile on his lips and in his eyes. And those intense blue eyes mesmerized her. Q: What would you like my readers to know? A: I would them to know how grateful I am to everyone who chooses to spend some of their valuable leisure time reading one of my books. I am also very appreciative when those same people take a moment to send me an e-mail or post a review to let me know how they enjoyed one of my books. Ultimately, that’s what being an author is all about! Kate James spent much of her childhood abroad before attending university in Canada. She built a successful business career, but her passion has always been literature. As a result, Kate turned her energy to her love of the written word. Her writing has been recognized with a number of awards, including first place honors for Silver Linings in both the First Coast Romance Writers’ Published Beacon Contest and Ancient City Romance Authors’ Heart of Excellence Readers’ Choice Award. Her November 2014 Harlequin Heartwarming release, A Child’s Christmas, received first-place honors from Southern Magic, the Birmingham Chapter of the Romance Writers of America, for the 2015 Gayle Wilson Award of Excellence, placed second in the Ancient City Romance Authors’ Heart of Excellence Readers’ Choice Award, and was a finalist in RWA’s Desert Rose Chapter’s Golden Quill Award and the Colorado Romance Writers’ Award of Excellence. 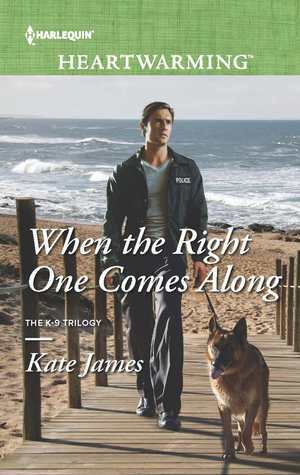 Finally, her October 2015 release, When the Right One Comes Along, the first book in her K-9 trilogy, has received a Best Book of 2015 award in the contemporary category. She and her husband, Ken, enjoy traveling and the outdoors with their beloved Labrador Retrievers, Harley and Logan. Kate would love to hear from you! 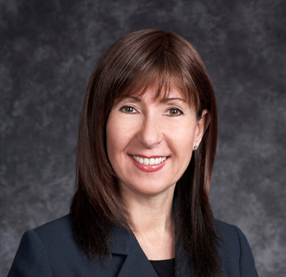 You can connect with her by e-mail, through her website, her Facebook page, Twitter, or mail at PO Box 446, Schomberg, ON, L0G 1T0, Canada. 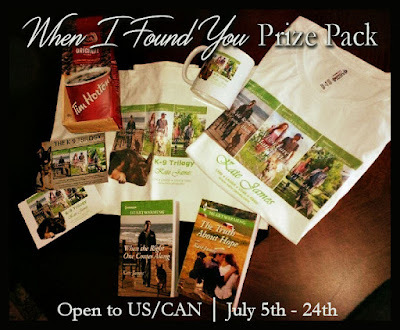 US/CAN PRIZE PACK: one K-9 trilogy women’s T-shirt, tote bag and a mug, a signed copy of the award-winning first book in the trilogy, When the Right One Comes Along, a signed copy of The Truth About Hope, signed book plates and a bag of Tim Horton’s coffee. 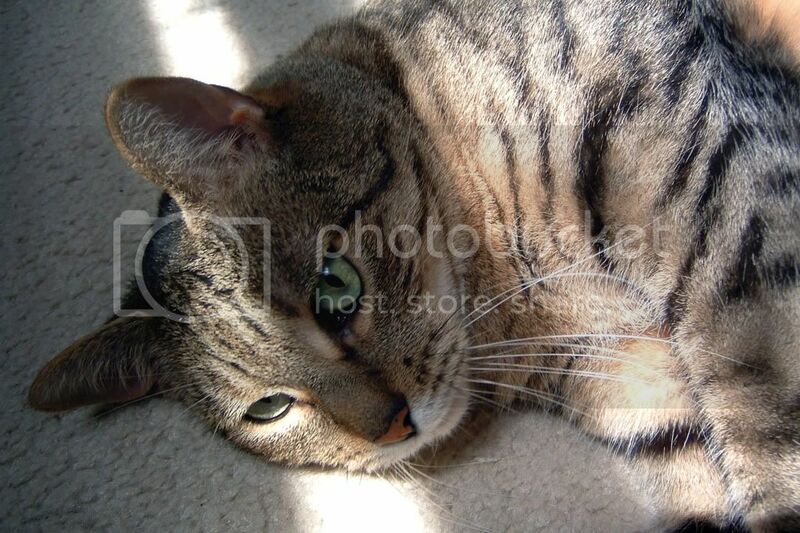 « Cat Thursday – Relaxing with Mama! Nice looking prize pack. The books sound really interesting. Thanks for sharing 🙂 That is a generous prize pack. Aww this sounds like a great series! I haven’t heard about this series before, but if it has a dog, then it’s my kind of series. I love reading books that have cats and dogs as characters. Same here…when pets play a large role I am usually always sold! Dogs! lol Sounds like a nice series that I would enjoy.